Playing games on your computer or laptop can be turned into a unique, pleasurable moment if you have a robust gaming mouse. With a high performance gaming mouse, with many buttons on it makes it a dream come true when you play your favorite game. Tee best gaming mouse comes with many advanced features that are not available in normal mice that are good for professional use. 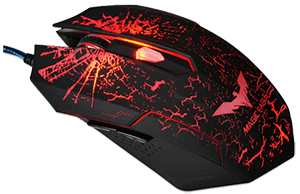 For example, the gaming mice have many buttons, LED color changers, DPI Switchers, and so on. Starting from 6 buttons, a gaming mouse can even have 20 buttons. The HAVIT HV-MS691 ergonomic wired gaming mouse is perfect for computers and laptops. It has a beautiful color and an ergonomic design that perfectly fit in your hand. With such a nice colored mouse, you always get a good feel factor that lets you use it more and more. And, from a gamers perspective, it has 6 buttons that include left, right, wheel, page up, page down, and DPI switcher. With these 6 buttons, you get full control over the game you play. With this mouse in hand, you can turn any game into a pleasure for hours. This is a pretty mouse at a reasonable cheap price with astounding features like DPI switcher and LED colors. It has 4 DPI settings, including 800 dpi, 1200 dpi, 1800 dpi, and 2400 dpi. You can change DPI direct from the mouse by using its DPI switcher button. No extra efforts are required then click the button. Moreover, it has 7 smooth LED colors so you can choose the one that pleases you. With DPI switcher, you can set the sensitivity of your mouse as per the requirement of the game and the smoothness you want. You cannot use the same DPI for every game you play. Some of the games are good with 800 DPI while some demand more DPI up to 2400 DPI. With this mouse on hand, you can switch to the desired DPI quickly and keep the pleasure going on. 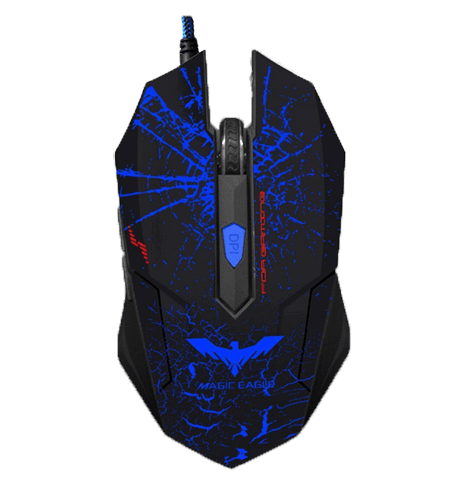 With so many good features, HAVIT HV-MS691 Ergonomic Wired gaming mouse should be your next mouse. In this tech savvy world where you have 100s of options to choose from, sometimes it becomes a challenge to pick the best gaming mouse. Some of these mice are available in fewer prices as low as 10 USD like this HAVIT HV-MS691 Ergonomic Wired Gaming Mouse while some are too costly. The high cost is not always the best factor to judge a high-performance mouse because new companies offer cheap prices for the same high-performance gaming mice in which well-known companies are charging hefty amount. If you are looking for a good and cheap gaming mouse within your budget then the HAVIT HV-MS691 is a perfect option. It is compatible to all versions of Windows up to Windows XP.